The real estate sector has been passing through a rough patch over the past three-four years. 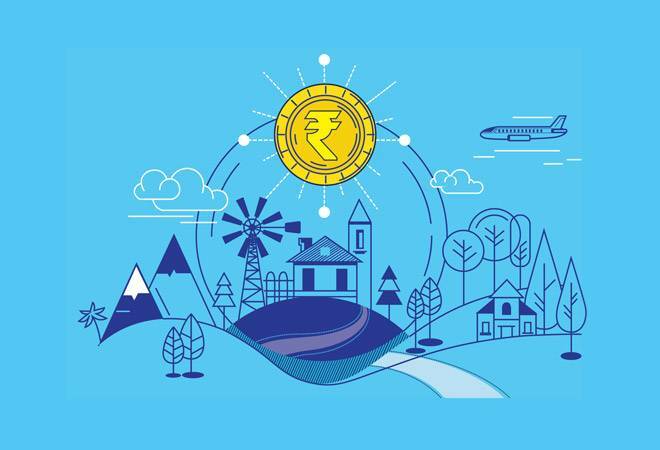 High prices, coupled with delayed possession and subsequent lawsuits in some cases, have made people sceptical about investing in realty, one of the most favoured asset classes among Indians. In fact, with prices remaining stagnant or even dropping in certain markets, the government taking stringent measures to demolish black money in the sector and the equity markets in a dream run, real estate has lost its much of its popularity as an asset class. The year 2017 has not seen much action regarding price and sales as the industry is still struggling to recover from the widespread disruption caused by demonetisation. In the eight major markets, sales crashed by 10-30 per cent during the October-December quarter of FY2016/17 compared to the previous quarter,. In cities such as Bengaluru and Chennai, sales were still down by 20 per cent or so in the second quarter of the current financial year compared to the pre-demonetisation quarter (July-September 2016), as per data provided by real estate research firm Liases Foras. As mentioned earlier, the industry is grappling with big-ticket reforms such as Real Estate (Regulation and Development) Act (RERA) and Goods and Services Tax (GST), which came into force in 2017. Experts, however, think any slowdown is temporary and these reforms will shape up the future of the real estate. "The year (2017) has been good in terms of setting up a base for the real estate market. We have also seen the implementation of RERA, an Act that brings a much-needed structure to the industry. Additionally, GST is improving the tax system on different levels. This era of reforms and added structure will improve the market in the next three-five years. It means this is a good time to purchase real estate," says Samir Jasuja, Founder-Managing Director of PropEquity, a real estate research firm. The benefits of RERA are yet to reach homebuyers as the Act is still in the implementation phase. And given the dilution brought in by various states, it is not clear whether the Act will be implemented by the states with the same intent and purpose as was done by the Centre. "RERA is still in its infancy, and a lot will depend on how the regulation is implemented. Thus far, only Maharashtra has set up a robust online platform, a critical component of the implementation process. Besides, several issues are open to interpretation, and we will need to wait and watch how the regulators apply the Act," says Amit Oberoi, National Director, Knowledge Systems, Colliers International India. The only segment where much of the activity is happening is affordable housing. According to data provided by Liases Foras, 25 per cent of the total sales (in most cases houses valued below `30 lakh) across the eight major markets took place in the affordable segment in the first three quarters of CY2017. In a bid to achieve its determined agenda "Housing for all by 2022", the government has announced various incentives in this segment, including subsidised home loans, infrastructure status to affordable housing and hikes in carpet areas. Doubtless, these incentives are attracting buyers, and more developers are entering the segment in anticipation of the demand. The government is also planning to link Aadhaar with all property transactions in a bid to curb black money and track down benami properties. "Linking Aadhaar with properties will have positive implications in the government's overall battle to combat black money. Earlier, demand for real estate was mostly investor-driven. But with such initiatives in place, we are likely to see more of an end-user-driven demand. This will also help maintain stability in price levels," says Jasuja. There may be a time when actual consumers will start getting the benefits of the big-ticket reforms, but for now, they have boosted investor sentiment. The BSE Realty Index has given whopping returns of 91 per cent till November 2017 compared to 26 per cent delivered by the broad equity market indicator S&P BSE Sensex. The best performing stock Indiabulls Real Estate, which is part of the Index, has delivered 185 per cent returns while the worst performing stock, Housing Development and Infra, fell 4 per cent during this period. "Small builders are finding it difficult to survive due to RERA. But it will benefit the big players as consolidation is happening. Also, these stocks were beaten down for the past four-five years and were looking attractive at these valuations. Stocks in the affordable housing space have also performed better as this segment is expected to do well in the near future," says Gaurav Dua, head of research at Sharekhan. Real estate prices are unlikely to see the kind of rally witnessed in bourses. In fact, prices in this sector are likely to remain subdued throughout 2018, according to experts. "For ready and resale prices, there could be a recovery. We are likely to see a higher number of completed units in 2018. And the prices of these newly completed projects are expected to remain competitive and buyer-friendly. Overall, not too much increase in price levels is expected," observes Jasuja. So, if you are planning to buy your dream house, with interest rates at almost a decade low, 2018 could be an opportune time to take the plunge. Developers are also rolling out various schemes to attract buyers, but remember to go for RERA-compliant projects only. If you have the money, it is always advisable to go for a ready-to-move-in property.